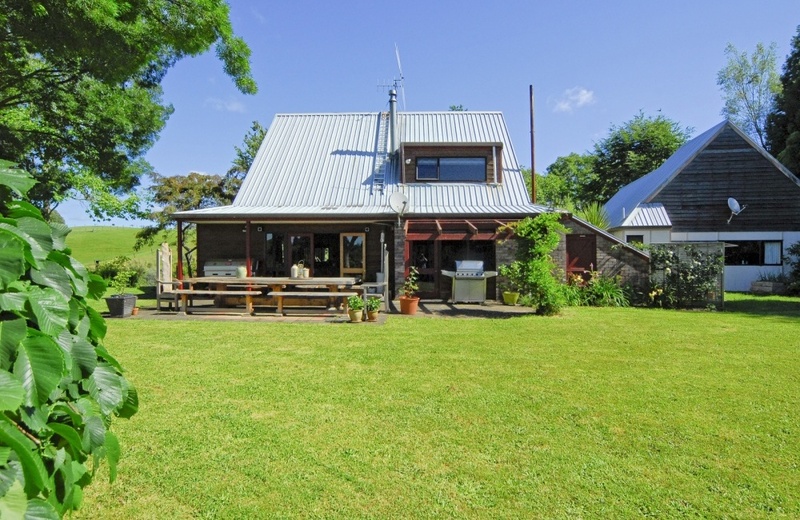 Woody and wonderful this charming brick and cedar home with mezzanine floor and timber sarked ceilings offers its new owners an enviable lifestyle. Set on 4.6 hectares of flat land with 2.61 canopy hectares of fully leased green kiwifruit our vendors have been enjoying "income without work". Self contained facilities adjacent to large separate garaging is perfect to accommodate extended family or further supplement the weekly income. Nestled amidst mature trees in a garden setting offering the ultimate in peace and privacy with alfresco living at its best, this lovely property is a "must see" for lovers of rural life! A easy tar sealed 15 minute drive into Tauranga city's amenities.